If you are trying to fight acne on a budget, you will probably look for low-cost acne products. There are some products that are a great value for the money that will really help your skin. There are some products that are not worth what you are charged for them but that at least will not harm your skin. Products containing alcohol and menthol make acne worse by drying out the skin and clogging pores. Then there are products that can make acne worse. Usually these products are either among the least expensive are among the most expensive over the counter acne treatments money can buy. Cheap, bad acne products keep selling because people hope they can save money. Expensive, bad acne products keep selling for the simple reason that the more people have invested in a purchase, the less they are likely to complain about it. They are more likely to attribute new blemishes to causes other that their skin care products. For every acne product that does not work, however, there is at least one comparably priced product that does. The most expensive products are not necessarily the best. Some products list ingredients that justify a higher price that actually make acne worse. Alcohol and menthol dry out the skin and clog pores. Alpha-hydroxy acids and beta-hydroxy acids don’t work if the solution containing them has been neutralized to make it alkaline. Willow bark and salicylic acid are not the same thing. Willow bark can be used to scrub (and bruise) your skin, while salicylic acid can peel away dead skin even if you don’t scrub. 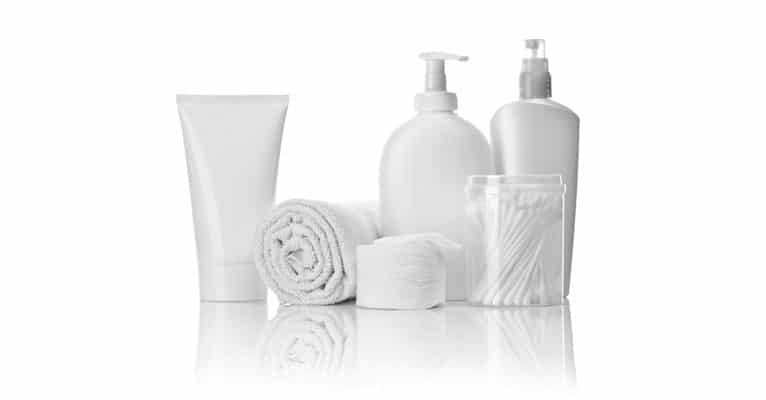 This article offers you an A to Z listing of the five most commonly purchased skin care products that make acne worse. If you are trying to treat pimples, you can spend $12 on benzoyl peroxide to treat mild acne and get as good or better results as you would get from spending $1200 on N-Lite Laser Treatment. Just because a product costs more does not mean it will make your skin look better. In choosing acne care products, the most important thing to avoid is ingredients that can cause irritation. The darker your skin, the more important it is to stay irritation-free to avoid the formation of long-lasting or even permanent brown spots known as melasma. Take the time to read the label of your cleansers, toners, and exfoliants. If the product is made with alcohol, don’t buy it. Alcohol can dry out your skin. If the product is made with menthol, mint, peppermint, or wintergreen, don’t buy it. These minty ingredients make your skin feel tingly, but they also can make it break out. It is also important to avoid most “natural” ingredients. No dermatologist is going out of business because patients buy “natural” products. Many otherwise good products are ruined by the addition of herb extracts or essential oils that can dry out the skin, added to the formula so marketers can persuade customers the product is organic. Remove dead skin around tight pores to let excess oil and bacteria flow to the surface so they can be rinsed away. Now let’s take a look at the 5 most frequently purchased acne products that do not accomplish any of these goals. At US $15 for a 4 oz (120 ml) bottle, Arbonne Clear Advantage Acne Wash is not cheap, but it is not expensive, either. Unfortunately, this product should be avoided at any price because it contains peppermint. This popular herbal ingredient smells great and makes your face feel tingly. The problem is that the tingly sensation that stays with your skin even after you rinse off the product is an indication it has stripped a microscopic layer of healthy skin—not something that really helps with acne treatment. Arbonne Clear Advantage Acne Wash contains the beta-hydroxy acid salicylic acid, which reduces inflammation and opens up pores on the oily skin. This would be a redeeming feature except for one thing. When you rinse off Clear Advantage within seconds of putting it on your face, this extra ingredient does no good. What could be more organic than blue green algae? How about lard? Lard, the kind of lard for which some fattened hog makes the ultimate sacrifice to provide to you, along with beef tallow, are the basic ingredients traditionally used to manufacture the Castille soap that becomes Aubrey Organics Blue Green Algae with Grapeseed Extract Facial Cleansing Lotion. The truth is, soap made with lye and lard will in fact clean skin. It cleans the skin, and then the top-most layer of your skin goes down the drain with the soap. Aubrey has reformulated this product to use Castille soap made with olive oil rather than lard for sale in most countries, but the blue green algae and grapeseed extract really don’t make up for the irritation caused by the soap. You have probably heard the old saying that the road to hell is paved with good intentions. Most Aveeno Clear Complexion products were obviously made with good intentions in mind, but they miss the mark for effectiveness, containing ingredients that damage the skin. Aveeno Clear Complexion Cream Cleanser is a good example. Like many other skin cleansers marketed to people who have acne, it contains salicylic acid that, used properly, opens pores and takes the red out of pimples. The problem with Aveeno Clear Complexion Cream Cleanser is that the soap in the cleanser makes the product so alkaline that the salicylic acid isn’t really an acid. It won’t exfoliate or condition the skin and you rinse the salicylic acid right down the drain anyway. This product contains another ingredient, however, that stays on your face even after you rinse. That ingredient is menthyl lactate. It makes the cleanser smell minty and stimulates your face, producing redness all over your face instead of just around your pimples. Avon Clinical Advanced Retexturizing Peel used to be a great product for loosening up old, dead skin so it can be rinsed off to open up pores. The Retexturizing Peel consisted of two products. One was a glycolic acid pad applied to the face to exfoliate the skin. The second was a neutralizing pad applied to the skin to keep the glycolic acid from burning the skin. This product provided the same 35% strength chemical peel that it is possible to get at the dermatologist’s office. American lawyers, however, saw an opportunity to profit by suing the manufacturer for making a product so strong it actually works, so Avon remade its Clinical Retexturizing Peel to contain a 10% chemical peel buffered with alkalizing agents to make sure it never burned the skin. This product is so safe it never peels the skin, either, so there is no point in using it. However, the alcohol in the formula will dry out the skin so you will need more of the exfoliation this Avon product does not provide. Burt’s Bees is famous for its budget lip balm. The company’s anti-acne products are questionable. The Natural Acne Solutions Purifying Gel Cleanser is a gentle product that is safe for all types of skin. It is so gentle that it won’t remove makeup, grease, or grime. It claims to contain “natural salicylic acid” made from willow bark, but the salicylic acid it contains is synthetic (not that synthetic salicylic acid is necessarily a bad thing). Burt’s Bees Natural Acne Solutions Pore Refining Scrub is a little more problematic. It leaves a waxy residue on the skin, canceling out any benefits of a scrub, and actually creating new acne problems. When you open the container of Burt’s Bees Natural Acne Solutions Daily Moisturizing Lotion, your nose fills with the odor of chlorine like a swimming pool—and that’s not really a good thing in a moisturizing lotion. There are also hints of citronella, which is also used in mosquito repellant candles, and lots and lots of sunflower oil. The product is supposed to control the oil in your skin with sunflower oil. It’s not sure how that could possibly work. However, the chlorine and citronella can create new, smaller bumps to distract viewers of your face from your existing pimples. Noxzema (often misspelled Noxema) has produced one of North America’s most popular brands of skin care products for decades. The problem with every last one of Noxzema’s products for acne care is that they all contain the distinctive blend of camphor, eucalyptus, and menthol that irritates the skin rather than soothing it. The nicest thing one can say about Noxzema for acne care is that at least it’s really cheap. You’ll have a lot more money left over to buy other products to repair your skin. Of course, you can spend a lot more money at the cosmetic counter of department stores on products that make skin worse. Darphin Paris Predermine Serum, for instance, promises to rebuild collagen to firm up the skin under tiny scars for just US $325 per ounce (30 ml). It does not help rebuild collagen, but it contains 10 floral ingredients so at least there is at least one that will trigger an allergy. Murad Post-Acne Lightening Gel costs a mere US $60 per ounce, and it will take the red out of a skin spot where acne has healed—and replace it with red. If you live in North America, chances are you have used at least one of these products to treat acne on your skin. And if you have, your skin did not improve and probably got worse. However, there is an alternative to acne care products that don’t work that provides all the treatment tools you need with a money-back guarantee, Exposed Skin Care. Which Acne Products Are Best for Your Skin? Does My Ethnic Skin Require Special Acne Care? Is Brown Skin Much more Prone to Acne? I'm using burst and bees acne moisturizer Since I started using it I started to get small bumps or pimples Should I keep using it? Or stop ? Stop using it IMMEDIATELY. It should be getting rid of acne, not creating it. I been struggling with acne since I was a teenager. I am now. 56. My skin is much thinner. Acne now is bigger now because I lost elasticity acne is ruining my life! Don't want to dry my face out! Large red bumps accure an take weeks to go away! Please help on what to use! Another one that 100% made me break out was the Aveeno daily moisturizer. I had been using so much salicylic acid on my face that it dried out my skin, so I needed a good moisturizer. Aveeno moisturizer worked good for about a week, but then I noticed probably hundreds of tiny bumps on my forehead. I’m actually not exaggerating when I say hundreds!!! I wasn’t sure what happened so I continued to use it. I thought my acne was just getting worse. About a week ago I finally realized I had started using the moisturizer only a little while before these tiny bumps so I tried only using one cleanser and stopped using the moisturizer. My face has gotten so much better since! I have one more tip for you guys; if you’re like me and pick at your acne, I have two things to help. For one, rosehip seed oil is Queen to heal those acne scars. Next, if you have ever heard of NAC, you may not know it breaks habits. It only works for about half of the people that try it, but it absolutely helped!!! I wanted to let you guys know this because I think we’re all tired of people telling us to just stop picking or telling us to eat healthier and our acne will be healed. Heck no! Uh uh! Not gonna happen sister! Just try these things and see if they work for you.